One of the fascinating things about the history of interpretation is that one little verse can give rise to a rich and varied tradition. 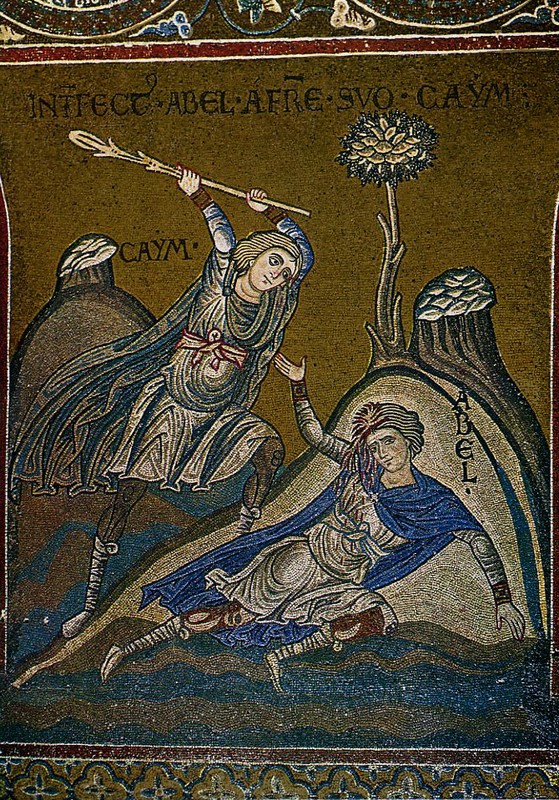 When we look at later Jewish and Christian literature we see that YHWH's claim that Abel's blood cried out from the ground inspired some sacred speculation about Abel and the postmortem cries of the murdered and the martyred. 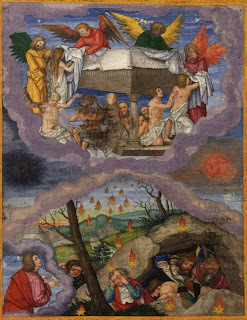 For instance, in 1st Enoch 22 the antediluvian visionary Enoch gets a tour of the abode of the dead by an angelic docent. While there are some difficulties with the text as we have it, the gist is this: the souls of the dead are being kept in hollows/caves carved into a mountain in the west. Unlike popular Protestant conceptions of the afterlife, the souls of the dead are not divided into two realms with the righteous souls ascending to heaven and the unrighteous descending to hell. Instead, all souls go to the same non-heavenly realm where they are placed into four (or three?) bins for safekeeping until judgment day. When traveling towards judgment you can fly first class, business class, coach, or be neatly stowed in the baggage compartment. Kensky compares this intermediate state to a jail, where prisoners are kept during trial, which is different from prison where they get sent after sentencing (the final judgment). The author of 1st Enoch has taken Genesis 4:10 somewhat literally. 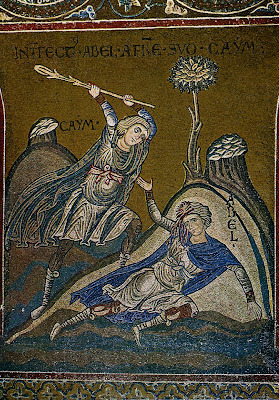 Blood is associated with the life force in the Hebrew Bible (Genesis 9:4; Leviticus 17:11), so Abel's blood becomes his spirit, and it literally cries out to heaven, the abode of YHWH (although in Enoch it is the angels who hear the cries and then bring them to YHWH). It does not merely cry out in lamentation though, but appeals, intercedes, or makes suit (Grk = entugchano). In vs. 12 we learn that Abel is not alone -- he has cave mates who also appeal to heaven (cf. 9:1-11 and 47:2). Why they did not just climb into the neighboring cave where the souls of their murderers were being kept to dish out some postmortem street justice is not discussed in the text. Abel does not directly haunt Cain or his descendants, however, but rather cries a cry that is heard in the heavens. So evil-doers can be encouraged: you have no need to worry about being haunted by ghosts, you'll be quite fine until the day of judgment. The Revelation text is a little different, since the souls of the martyrs seem to be in heaven, rather than a mountain chamber somewhere. The altar is a new element as well. Both the 4th Ezra and Revelation texts introduce the idea of a number of completion that needs to be reached before justice can be meted out, something which we do not see in the Enoch passage. Aside from these differences, these texts are examples of the same tradition we see in Enoch. Interestingly, many commentaries on Revelation only offer a passing footnote on the 1Enoch 22 passage, or in some cases fail to mention it entirely. I wonder what the author of Genesis 4:10 would think if s/he knew some of the interesting traditions that would develop partly as a result of that one little reference to blood crying from the ground?